Meantime Mack is doing the legal gyrations to cop a plea and nail the Goatherder in Chief. I’ll add we’ve yet to see how the Broussard curatorship arrangement with the D’Aquila law firm plays in. These documents from the TheRiot Era are well worth examining…. 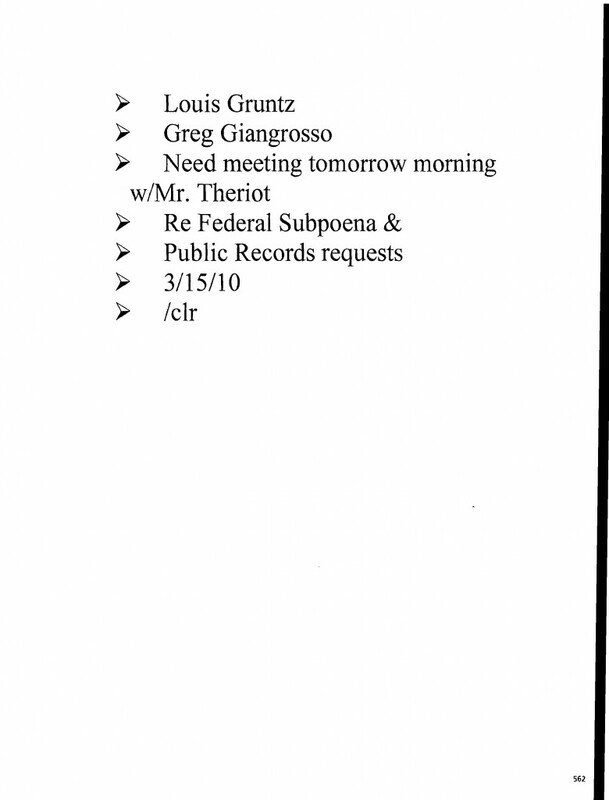 Author Douglas HandshoePosted on July 31, 2012 March 14, 2014 Categories SopTags Bryan Wagner, Dutchy Connick, Jefferson Parish Political Corruption Scandal, Julie Murphy, Redflex5 Comments on These documents from the TheRiot Era are well worth examining…. First was this stinker laid down yesterday by Rich Rainey sourced mainly by JP Council pay-to-play king Chris “Mini-me” Roberts. Then John Young chipped in his two cents worth yesterday afternoon via this Bob Ross T-P story. Then the reaction began pouring in from the citizenry after the second story ran from people that actually attend or watch the Parish Council meetings. People that have pretty much been ignored by the T-P and even occasionally attacked by the T-P Yenni beat team in days of yore. It is good the gang took a second shot at the apple but the second article missed too according to the JP peeps that speak with Slabbed. The new NOLA.com JP political beat team is still a work in progress folks and it is showing. Like Pres said yesterday in comments Rainey is already on the NOLA City beat and it appears Ross is filling in best he can but he has no institutional knowledge of the subject matter. The good news is Ross contacted CFGG as they are folks that are urging all the procurement reforms recommended by BGR be enacted. IMHO more talking needs to happen. And maybe instead of genuflecting before area politicians perhaps Ricky Mathews should meet with the good government crowd in Louisiana’s second most populous Parish, the largest of the 7 Parish metro area. Finally one way to force this issue on the Parish Council is via the Charter Change committee, which has been meeting for several months now. I understand there is a meeting of that body this evening at 7 over at the Yenni Building.